Once again I have written to golf clubs celebrating their centenaries in 2012 to ask for any books they may have produced for the occasion and this year I have received them from Thetford and Holyhead. Our thanks to these secretaries for their donations to the collection. 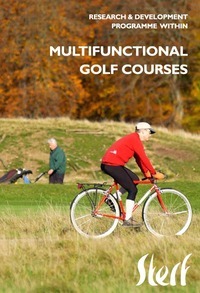 The Institute has been actively searching out the publications of golf clubs over 100 years old for the past few years. These provide a valuable insight into the early years of golf and the work of pioneers such as Harry Colt, James Braid and Alister Mackenzie. This part of the collection now stands at over 400 volumes. For clubs embarking on their own history, it is a useful starting point as there is a great variety in the form and content of these books. 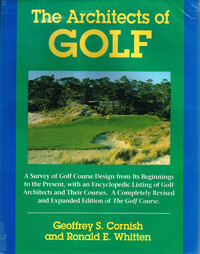 Geoffrey Cornish and Ron Whitten's The Architects of Golf is often refered to here at Head Office as The Bible. We refer to it regularly for information about architects and who designed what course. However, it was published twenty years ago and so we welcome the news that Richard Mandell is planning an update. He needs your help. A round up of recently published articles from a range of magazines and online newsletters. All the usual titles have been covered, including the latest issues of Greenkeeper International, Greenkeeping, and Golf Management Europe.